The past several days have featured some heavy rainfall totals and some dreary skies, and unfortunately the next few will as well as daily rain chances continue into the weekend. 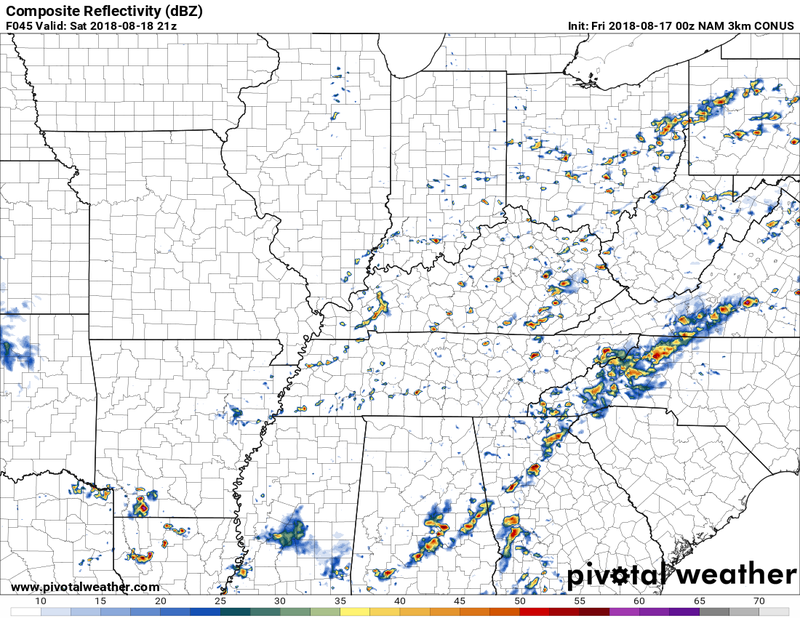 The disturbance that gave us so much heavy rain yesterday and last night is still with us and still producing waves of scattered showers and thunderstorms. 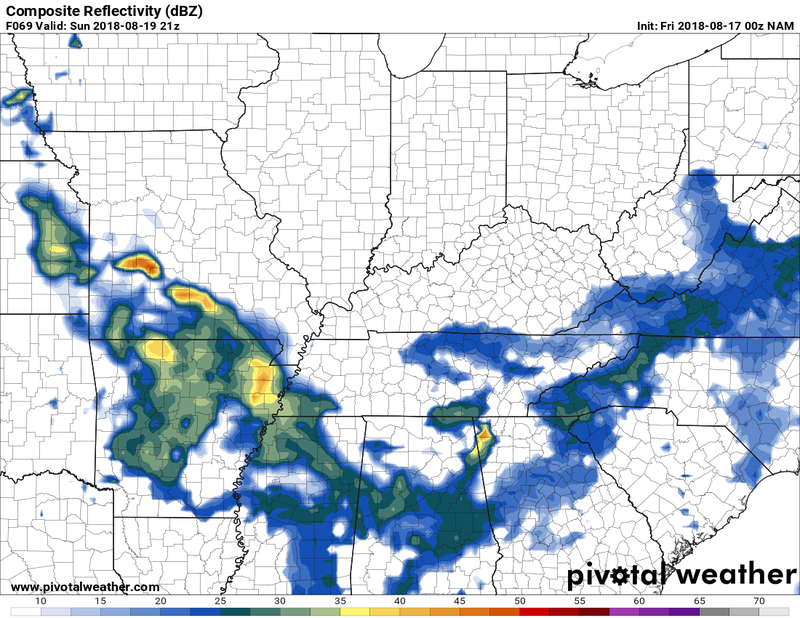 In fact, hi-res models show several rounds of storms moving through the region today. The hi-res NAM is most aggressive. Not quite sure we’ll see that many rounds of storms, but you certainly should be prepared for rain at any hour of the day, even during opening night of high school football. Any storms we see will, as is custom now I believe, come with torrential downpours, dangerous lightning, and potentially gusty winds. Widespread cloud cover will keep high temperatures right around 85º. We’ll keep nighttime lows near 70º with all the moisture we have in the atmosphere and the rain chances that come with it. Last Saturday was sufficiently stormy and Mother Nature likes to repeat herself and thus…another stormy Saturday…says it right up there in bold letters. The rain chances will their decrease Saturday but pop up showers and storms will still be with us, especially in the afternoon hours. They’ll also be a lot more isolated than what we’ve been seeing, so it’s likely we’ll have some more dry time. Things will still warm to near 85º or so for a high. Things begin to taper as we head overnight, where the low will fall to only around 70º. Things will be a bit on the dryer side to close the weekend out, but like the internet in the early 2000s, we’re still not done with the pop-ups. The potential for a bit of sun in the afternoon between isolated storms will give us a high closer to around 88º. Any storms will taper off to a dry night near 70º before an even more stout chance of rain and thunderstorms looks to move in to start the new week.